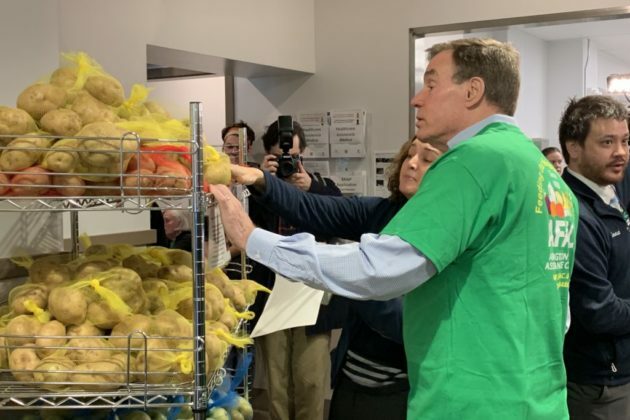 Sen. Mark Warner (D-Va.) discusses the shutdown’s impact at the Arlington Food Assistance Center (AFAC). 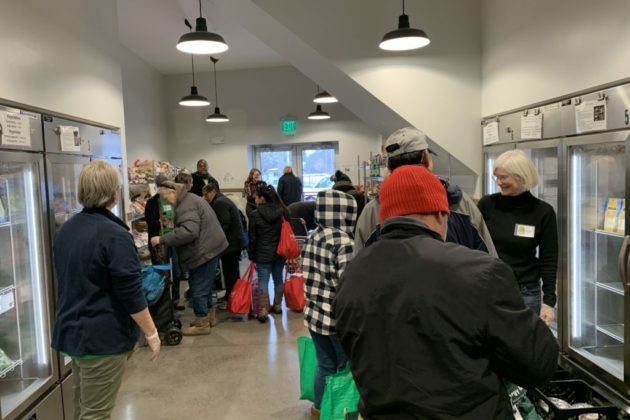 Sen. Mark Warner (D-Va.) discusses the shutdown’s impact and volunteers at the Arlington Food Assistance Center (AFAC). Volunteers and clients at the Arlington Food Assistance Center (AFAC) food distribution center in Nauck. 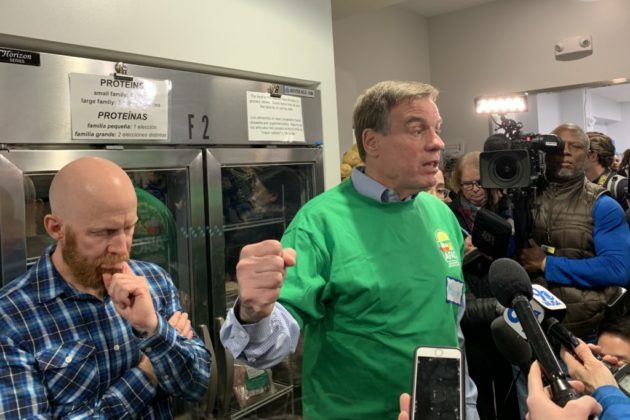 For all of the problems caused by the government shutdown across the D.C. region so far, Sen. Mark Warner (D-Va.) fears things could get “exponentially worse” as soon as next week if federal employees are still going without paychecks. Warner, like the rest of his Democratic colleagues in Congress, already sees the standoff over border wall funding engineered by President Trump as “outrageous” and a “disgrace.” Thousands of federal workers in the D.C. area alone missed their first paychecks of the shutdown last week, putting a severe strain on their finances and the whole region’s economy. But Warner foresees government employees reaching a crisis point should they miss another paycheck in the coming days, which looks like a sure bet as Trump refuses to give an inch in discussions with congressional Democrats. Warner pointed out that Congress and Trump could at least agree to provide back pay for furloughed workers, but he warned that restitution alone “doesn’t make you whole.” He’s already heard stories from people taking out loans to make it through the shutdown, or missing payments and seeing their credit scores take a hit. And he’s especially concerned about federal contractors, which include not only high-priced tech workers but people working in cafeterias or custodial services, who may not make much money. 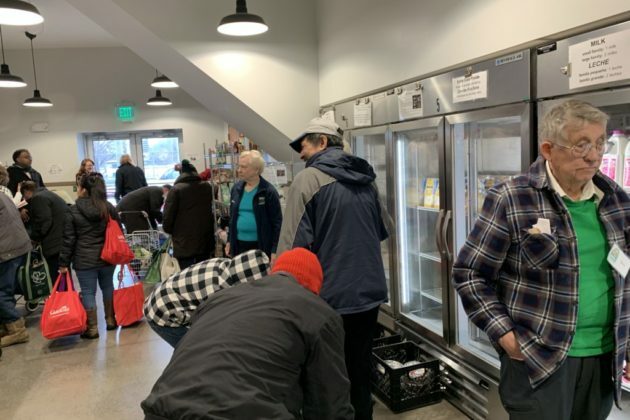 Charlie Meng, the executive director of AFAC, told ARLnow that “many of the contractors who are most affected are our clients already.” He says the food bank has seen a “slight uptick” in interest since the shutdown started, and it began urging federal employees to swing by for free groceries, but he said that people who are already struggling to get by are the ones hardest hit by missing out on paychecks. Warner notes that the shutdown will likely spell big trouble for Metro the longer it drags on. WMATA General Manager Paul Wiedefeld told the D.C.’s regions senators yesterday (Thursday) that keeping federal workers at home is prompting a steep drop in ridership, costing the rail service about $400,000 per day. It doesn’t help matters either that federal officials haven’t been able to reimburse Metro for about $33 million in expenses it has incurred over the course of the shutdown, an amount Wiedefeld estimates could balloon to $50 million by the end of the month. He warned that Metro would need to start relying on its line of credit to afford major capital improvements soon enough, or simply delay badly needed projects. Warner says Democrats are “absolutely” willing to negotiate on increased border security measures with the White House to end this standoff — but only if Trump agrees to open the government back up first. Warner points out that a bipartisan group of senators wrote a letter to Trump, urging him to fund the government for three weeks to let negotiations to start back up. But that effort fizzled, and he says it was “disappointing” to discover that the White House was actively pressuring Republicans not to sign on to that push. “It’s tough if you’re a Republican senator to sign onto a letter, even a reasonable letter, when you’ve got folks like Jared Kushner and others lobbying against it,” Warner said. So even as Republicans privately tell Warner that they’d like to end the shutdown, he doesn’t see much hope for any resolution soon. And that, he says, sits squarely on Trump’s shoulders.